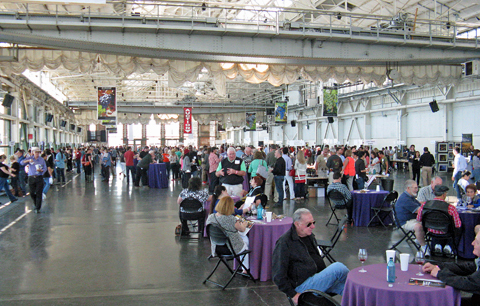 Report on the 17th annual wine tasting presented by the Rhone Rangers, on Sunday, April 6, 2014, at Craneway Pavilion in Richmond, California. The event focuses on current releases of Rhône-varietal wines from member wineries in the United States. This year’s event started with a walk-around tasting reception, winemaker dinner, and live auction on Saturday evening. Sunday featured two seminars followed by the Grand Tasting and silent auction in the afternoon. Both auctions benefited the Rhone Rangers Scholarship Fund. The tasting notes below are from both the two Sunday seminars and the Grand Tasting. The Rhone Rangers organization is a non-profit group, which promotes the enjoyment of Rhône-varietal wines produced in the United States. 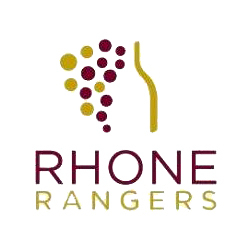 Although the term "Rhone Rangers" has been used since the 1980s to describe some of the early champions of Rhône-style wines in the US, the organization itself was not founded until 1997. There are now nearly 200 wineries from California, Oregon, Washington, Idaho, Michigan, and Virginia that are members of the Rhone Rangers. I attended both Sunday morning seminars this year in addition to the Grand Tasting that immediately followed them. The seminars were sponsored by Silicon Valley Bank and featured stemware provided by Riedel Crystal of America, while a bottle of Wai?kea Hawaiian volcanic water was on each table. Luke Sykora of Wine & Spirits Magazine moderated both seminars. Tasting notes for all of the wines presented at the seminars are included in the tasting note section below. Sunday’s first seminar was entitled “The Rise of the Rhône Garagiste,” and included panelists Sue Tipton of Acquiesce Vineyards, Carl Bowker of Caliza Winery, Christian Stark of Stark Wines, William Allen of Two Shepherds Vineyards, Amy Butler of Ranchero Cellars, Rob Folin of Folin Cellars, Steve Law of MacLaren Wine Company, and Kevin Jussila of Kukkula Wine. Luke introduced the session by talking about the background of “garagiste” wineries – originally meant as a term for wineries so small, they could operate out of a garage. He likened them to the “indie” rock bands of the 1980s, many of whom gained strong followings for going against the grain of the better-financed mainstream music of the time. Rob was amused that his red blend poured at the seminar was the biggest production wine of the bunch – at all of 225 cases. Several panelists talked about how to stand out from the crowd, a key to surviving as a small winery. Rob noted that most people still consider it unusual for a producer from Oregon not to make Pinot Noir, so although this helps differentiate his wines, he said it can be an “uphill battle” to promote them, and it takes a lot of his time to get out and do that in person. Sue’s wines are also unusual for their area – a Lodi producer making only whites and Rosé is a rarity. There were differing experiences among the panelists with using social media to help promote their wines. Some use it a lot, while others are not using it much at all for business. William noted that using social media for business can be beneficial but it takes a lot of time. Amy said that she feels it’s a fun way to connect with people but she’s not so sure it’s that useful for selling wine. But since – aside from the time required – it’s a cheap or even free way for a small producer to promote wines, the consensus was that it can’t hurt to give it a try. In a response to a question from Luke, every panelist indicated that they sell at least 50% of their wine direct to consumers. This seems like a key aspect of “garagiste” wineries, since profit margin is usually very slim, and selling direct helps with that. Several of the panelists also noted that they gain important benefits from the exposure of having their wines in restaurants, but overall they agreed that promoting and selling their wines direct to consumers is critical to their businesses. The wines presented at the Garagiste seminar covered a wide range, from lighter whites (Acquiesce Picpoul Blanc) to an interesting Rosé (Two Shepherds Grenache Gris) to bigger reds (Kukkula “Noir”). I thought this was a strong group of wines, and my favorites included the Acquiesce Picpoul Blanc, Stark Viognier, Two Shepherds Grenache Gris Rosé, Ranchero Carignan, and MacLaren Judge Family Vineyard Syrah. The day’s second seminar was “Grenache: The World’s Most Widely-Planted Rhône Grape Variety.” The panel featured Herb Quady of Quady North, David Mounts of Mounts Family Winery, Sebastian Donoso of Campovida, Maura Christoffers of Miner Family Wines, Greg Baiocchi of Baiocchi Wines, Michael McCay of McCay Cellars, Bob Lindquist of Qupé, and Chris Cameron of Broken Earth Winery. Luke opened the seminar by talking about why Grenache is planted so widely – it grows well in a variety of soils and climates (particularly warmer climates) and it tends to produce a large crop. Because of that tendency, it was noted that Grenache needs to tamed / managed well in order to make high-quality wine from it. Each producer spoke about their vineyards and wines. Bob told us that the Grenache plantings at his cool-climate Sawyer Lindquist Vineyard in Edna Valley include six acres for the red Grenache bottling and two acres farmed specifically for Rosé. It would have been an interesting question to ask how many of the panelists grow some of their Grenache solely for Rosé, but I didn’t think of that until it was too late. There was some discussion of whole-cluster fermentation in Grenache winemaking. Bob mentioned that he typically uses at least some whole clusters in his Grenache each year. Greg said that he feels whole-cluster fermentation doesn’t tend to work well on most young vineyards – though Bob pointed out that his Sawyer Lindquist Vineyard is not very old (planted 2005) and he’s been happy with using whole clusters of that fruit. David told us that he likes to use whole clusters to help moderate the high acidity he often finds in his Grenache fruit. In other winemaking techniques for Grenache, Chris mentioned that he uses extended maceration to help tone down what he called the “lollipop” character that he feels Eastside Paso Robles Grenache can display. Bob talked about how he makes Grenache in a similar way to Pinot Noir – which makes some sense since both varieties oxidize easily – but uses neutral oak. There was some discussion of types of vessels for aging Grenache, including barriques, puncheons and larger oak vessels, and concrete tanks. Bob thought that concrete would work well for aging Grenache, while other panelists were not so sure. There was a good range of Grenache styles presented at the seminar. Some were 100% varietal while others were blended with a little Syrah, some used varying percentages of whole-cluster fermentation and we tasted the effect of neutral oak vs. some new oak for aging. Overall, I didn’t think this group of wines was as strong as those at the first seminar, but the Qupé and Miner Family Grenaches were both standouts. The two seminars were enjoyable, although I felt that there were too many panelists to foster good discussions of the seminar topics. Having eight producers each presenting their wines took up a lot of time, and a smaller group of panelists probably would have helped in getting more meaningful dialogue going. Even so, the seminars did offer a good opportunity to compare and contrast some interesting wines and different approaches to winemaking, so they were certainly worthwhile. As always, many well-known American producers of Rhône varieties poured their wines at the event’s Grand Tasting. There were about 90 wineries pouring this year, a good representation of the group’s members though down in number a bit from the last time I attended this tasting two years ago. Because of the new venue this year, it was tough to get a feel for the attendance compared with previous years, but I suspect that number was down as well. I imagine that moving the event from San Francisco across the Bay to Richmond hurt the attendance this year, but hopefully it will bounce back once more tasters get used to the new location. And speaking of the new venue, I liked it a lot. Of course it helps that I live in the East Bay, so getting there was easier for me, and parking was a breeze compared with the old location. A complimentary shuttle from the nearest BART station and special ferry service from San Francisco added to the ease of getting to Craneway Pavilion. The pavilion space itself was perfect for the tasting – it seemed wider than the old Fort Mason space so the circulation aisles between the rows of tables were generously-sized. 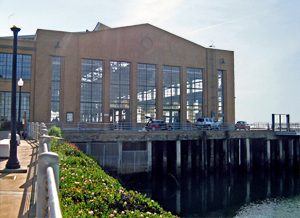 And unlike the old venue, one long wall of Craneway Pavilion faced the Bay and was filled with windows that allowed spectacular views across the water. Everything at the event was organized well, and it ran very smoothly from beginning to end. I had recently attended a small tasting held by the North Coast Chapter of the Rhone Rangers organization, and I’d tasted wines from a number of producers who poured again at the larger event in Richmond (as well as some who didn’t pour there), so I passed on tasting most of the wines from those producers again. Among the best ones I visited at the earlier tasting that I skipped entirely in Richmond were Donelan, Kieran Robinson, and Lightning – the last two of those were new to me and very promising. Others that I revisited for just a limited number of wines this time included MacLaren, Miner, Ridge, Stark, and Two Shepherds. As I’d been able to sample wines from quite a few producers who were new to me at the earlier tasting, I focused more on familiar wineries at the larger event in Richmond, given the limited time available. And I skipped a couple of others, such as Law, whose current releases I had already tried in the past year. As always at these large tastings, I’m never able to get to all of the producers I would like to, but I managed to visit most of the tables I wanted to on this occasion. Continuing a trend from the past couple of years, many producers poured very good Rosé wines at the tasting, most of them from the 2013 vintage. And I found more noteworthy Grenache Blancs this year – not unlike Viognier, this is a variety that can almost be too exuberant and somewhat blowsy, but more producers are reigning in that character and making some very nice wines. Just as at the last Rhone Rangers tasting I attended, my Favorites list includes plenty of diversity among the reds – a few more Syrahs than any other variety, but a number of Grenache- and Mourvèdre-based wines, and a couple of Carignanes too. I tasted a couple of very good non-Rhône variety wines too, but I didn’t include those in my list of Favorites. I expanded my Favorites list a bit from what I’ve done in the past, so some wineries have more than one white or red listed. Overall favorite producers included longtime standouts Lagier Meredith, Qupé, and Tablas Creek. Some newer producers such as Acquiesce and Ranchero poured several noteworthy wines, and other more-established labels like Big Basin, David Girard, Holly’s Hill, and Skylark showed very well too. Many others poured at least one standout wine. I should make special note of newer producer MacLaren – I’d tasted their wines at the Rhone Rangers North Coast Chapter tasting so I sampled just a couple of them this time, but that confirmed my thoughts that the wines they poured were some of the best new cool-climate California Syrahs I’ve tried. I enjoyed this Rhone Rangers tasting a great deal – perhaps it was a factor of the particular wines I chose to taste, but I felt the overall quality was higher than I recall from past events. There were lots of bright and refreshing whites and Rosés, and not many that were conspicuously lacking in acidity. And I found fewer overly-oaked reds at this tasting – a winemaking choice that masks what the true character of the wine can be. There were still some problematic wines here and there, but I tasted more standout wines this year than I have in the past. This is really the US Rhône-style wine tasting of the year, and for fans of those wines it’s an event not to be missed. Acquiesce 2013 Picpoul Blanc, Estate, Lodi. Light straw color, this had stone fruit and lemonpeel aromas, plus a touch of tropical fruit. Medium-light body with a bright mouthfeel and juicy finish, nice. Acquiesce 2013 Grenache Blanc, Estate, Lodi. Light straw color, with bright pear and stone fruit on the nose, plus floral undertones. A bit more texture on the palate than the Picpoul, with a smoother finish. Acquiesce 2013 “Belle Blanc,” Estate, Lodi. 45% Grenache Blanc, 45% Roussanne, 10% Viognier. Light straw color, featuring aromas of stone fruit with touches of flowers, fresh herbs, and tropical fruit. Moderately rich mouthfeel, with a long, pleasant finish. Acquiesce 2013 Viognier, Estate, Lodi. Light straw color, this had peach and citrus fruit along with some floral notes. Fairly rich on the palate with a smooth finish. Acquiesce 2012 Roussanne, Estate, Lodi. Slightly darker color, showing herb, honey, pear, and lots of spice on the nose. Rich mouthfeel and a creamy texture on the finish. Acquiesce 2013 Grenache Rosé, Estate, Lodi. Made from fruit that was whole-cluster pressed immediately plus some left on the skins before pressing. Medium-light pink color, with bright strawberry and herb aromas. Lively mouthfeel with a slightly chalky tannic bite on the finish, nice. Comments: Owner/winemaker Sue Tipton was on hand to pour her wines. All the wines are from estate-grown fruit (Tablas clone stock) and are made entirely in stainless steel. This was my introduction to the Acquiesce wines and they were all very good, with the Picpoul and Rosé being standouts. The distinctive bottles were pretty cool too. This could be a label to watch in the future. gb 2013 “del Papa,” Fair Play. 70% Viognier, 15% Roussanne, 15% Marsanne, co-fermented, aged in neutral oak. Light straw color, with pear and stone fruit and touches of flowers and spice on the nose. Moderately rich texture with a long, smooth finish. gb 2011 “del Maggio,” Fair Play. 80% Grenache, 20% Syrah, co-fermented, and aged in about 15% new French oak. Medium garnet color, this showed red fruits, earth, lots of spice, and undertones of sweet oak. Medium weight with enough structure for short-term aging, and moderate tannins on the finish. Baiocchi 2010 Grenache, Sharon’s Vineyard, Fair Play. 100% Alban clone Grenache, aged in 25% new French oak. Medium color, displaying strawberry and cherry aromas, spice, vanilla/oak, and herbs. Fairly big and structured on the palate, finishing with grippy tannins – some time in the cellar should be of benefit. Comments: Greg and Sharon Baiocchi’s first vintage for their winery was in 2009. Grenache, Syrah, Mourvèdre, and Tempranillo were planted in the granitic soil at their 12-acre Sierra Foothills vineyard in 2006. Greg, who was behind the table at the event, had previously worked at Miraflores in El Dorado County and at Big Basin in the Santa Cruz Mountains. Big Basin 2011 Roussanne, “Homestead Block,” Santa Cruz Mountains. Barrel-fermented. Medium-light yellow-straw color, with pear, stone fruit, honey, and slightly floral notes on the nose. Medium-bodied with good acidity and a lively finish, nice. Big Basin 2011 “Homestead,” Central Coast. 48% Mourvèdre, 24% Carignane, 18% Zinfandel, 7% Syrah, 3% Grenache, sourced from 25-100 year old vines in the Gabilan Mountains and Santa Cruz Mountains. Medium purple color, fruit-forward with bright plum and black cherry, plus earth and lots of spice. Medium weight on the palate, finishing with milder tannins. Big Basin 2011 “GSM,” Paderewski Vineyard, Paso Robles. 29% Grenache, 36% Syrah, 35% Mourvèdre, co-fermented. Medium purple, this displayed ripe plum and darker fruits, along with notes of earth, chocolate, and spice. Richer mouthfeel, with fine tannins and a fairly smooth finish. Big Basin 2010 “Grizzly,” Central Coast. 56% Grenache, 31% Syrah, 13% Mourvèdre, sourced from the Gabilan Mountains and Santa Cruz Mountains. Medium color, this showed red fruits, herbs, earth, and smoke on the nose. Fairly big on the palate, with grippier tannins. Big Basin 2010 Syrah, “Old Corral,” Estate, Santa Cruz Mountains. 86% Syrah, 13% Grenache, 1% Viognier. Medium-dark color, with savory aromas of grilled meat, dried herbs, earth, mocha, and dark berry fruit. Big and structured, finishing with refined tannins and a stony mineral note on the finish, nice. Comments: Located in the Santa Cruz Mountains, Big Basin was established by Bradley Brown in 1998. The first plantings at the estate vineyard came in 2000 and the winery was completed in late 2003. Bradley learned much of his winemaking from John Alban, and the stylistic similarities show in a number of the Big Basin wines. Broken Earth 2012 Grenache, Estate, Paso Robles. Extended maceration (up to 10 weeks on the skins), aged in about 35% new oak. Medium-light color, with lots of upfront sweet oak aromas followed by ripe cherry and raspberry, spice, and a touch of dried herbs. Big and structured in the mouth, with a grippy tannic finish. Comments: The 40-acre estate vineyard on the Eastside of Paso Robles was planted in 1973, with part grafted to Grenache in the mid- to late 1990s. Caliza 2012 “Sidekick,” Paso Robles. 60% Roussanne, 40% Viognier from the estate vineyard, barrel-fermented and aged on the lees. Medium-light straw color, this had ripe stone fruit with strong vanilla and spice notes on the nose. Rich and smooth on the palate with a slightly chalky character on the finish. Comments: Caliza proprietor Carl Bowker planted his estate vineyard in the calcareous soil of Westside Paso Robles in 2006. It’s planted mostly to Rhône grape varieties. Carl noted at one of the morning seminars that he aims for the ripe, rich style of wine that seems well-suited to his vineyard location. Campovida 2012 Grenache, Dark Horse Vineyards, Mendocino County. 100% Grenache from a biodynamically-farmed vineyard between Hopland and Ukiah. Medium-light garnet color, this had ripe plum and raspberry fruit, vanilla/oak, spice, and a stony mineral note on the nose. Medium weight in the mouth, this finished with big, chewy tannins. Comments: This new venture (first vintage in 2012) is located in Hopland, at the site that had been the Fetzer Wine Hospitality Center. Winemaker Sebastian Donoso was on hand at the event. Carica 2013 Rosé, Bennett Valley. From Syrah, Grenache (both from Jemrose Vineyard), and Mourvèdre, whole-cluster pressed with a little skin contact and made in stainless steel. Light salmon-pink color, with red fruit, lemonpeel, and herb aromas. Lighter-bodied and lively on the palate, with a clean, smooth finish, nice. Carica 2011 Grenache, Eaglepoint Ranch, Mendocino County. Aged for 19 months in neutral oak. Lighter garnet color, this featured higher-toned red fruit and lots of spice on the nose. Bright mouthfeel with a moderate tannins on the tangy finish. Carica 2010 “The Siren,” Kick Ranch, Sonoma County. 70% Syrah, 15% Grenache, 15% Mourvèdre. Medium-dark purple, with aromas of plum and darker berry fruit, spice, vanilla/oak, and earth. Medium weight in the mouth, this had a lively texture and firm tannins. Carica 2010 Syrah, Kick Ranch, Sonoma County. From Hermitage, 470, and 877 clones, aged in neutral oak. Dark color, displaying blackberry, mocha, spice and vanilla/oak. Big and structured on the palate, finishing with grippier tannins. Comments: Carica winemaker Charlie Dollbaum and his wife Margaret poured their wines at the event. They’ve sourced fruit from some well-known vineyards such as Jemrose, Eaglepoint Ranch, and Kick Ranch, while they make their wines in an urban facility in the East Bay. Clos Saron 2011 “A Deeper Shade of Blue,” California. 75% old-vine Cinsault, 20% Syrah, 5% Tempranillo. Medium-light purple, this had bright and savory aromas of red fruits, herbs, exotic spices, and a dash of black pepper. Lighter-bodied and lively in the mouth, with milder tannins. Clos Saron 2013 “Out of the Blue,” California. 90% old-vine Cinsault, 5% Syrah, 5% Graciano, co-fermented. Slightly darker color, with more green/stemmy notes than the previous wine, along with black cherry and earth. Medium weight on the palate, with moderate tannins. Clos Saron 2011 Syrah, “Stone Soup,” Sierra Foothills. 100% Syrah. Medium color, with gamey and smoky aromas, plus darker berry fruit, herbs, and earth. Medium-bodied with a vibrant mouthfeel and moderately firm tannins on the lively finish, nice. Clos Saron 2009 “Heart of Stone,” Sierra Foothills. 90% Syrah, 10% Viognier. Medium purple, this showed a more funky nose, plus lots of smoke and blueberry and plum fruit. Big and structured, with a very grippy tannic finish. Comments: Clos Saron owner/winemaker Gideon Beinstock poured his wines at the event. Always a little different, these wines can be hit-and-miss but the best of them are very distinctive and tasty. Gideon mentioned at the tasting that he decides when to pick his fruit by the feel of the clusters. 2012 Grenache Blanc, Estate, El Dorado: 100% Grenache Blanc, from head-trained vines, made entirely in concrete with no malolactic fermentation. Light color, with bright apple, spice, and a petrol note. Medium-bodied with lively acidity and a crisp finish, nice. 2011 Grenache, El Dorado: 100% Grenache, sourced from several vineyards, with about 80% estate fruit. Medium-light color, this had cherry and strawberry fruit, lots of spice, and touches of earth and oak. Medium-light bodied, this had a lively texture and moderate tannins. 2010 “Coda Rouge,” Estate, El Dorado: 50% Grenache, 26% Mourvèdre, 17% Syrah, 7% Counoise. Medium-light color, with black cherry, earth, dried herbs and undertones of sweet oak. More structured in the mouth than the Grenache, with a grippier tannic finish. 2010 Mourvèdre, Estate, El Dorado: 100% Mourvèdre, aged in 20% new French oak. Medium color, this displayed plum and darker berry fruit, dried herbs, spice, with earth and vanilla/oak notes in support. Medium-bodied with a moderately rich mouthfeel and firm tannins. Comments: David Girard continues to be a solid El Dorado County producer of Rhône-style wines. The estate vineyard is farmed by noted grower Ron Mansfield. 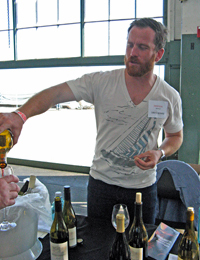 Winemaker Grayson Hartley was behind the winery table at the event. Terre Rouge 2012 Vin Gris d’Amador, Sierra Foothills. Made from 52% Mourvèdre, 45% Grenache, and 3% Syrah, from saignée. Very light pink color, this featured strawberry and spice on the nose. Medium-light weight with a fairly smooth mouthfeel and finish. Terre Rouge 2010 “Enigma,” Sierra Foothills. 45% Marsanne, 29% Viognier, 26% Roussanne. Light straw color, with bright pear and stone fruit aromas with undertones of fresh herbs, flowers, and a stony mineral note. Medium-bodied with a lively mouthfeel and crisp finish, nice. Terre Rouge 2010 “Tête-à-Tête,” Sierra Foothills. 40% Mourvèdre, 33% Syrah, 27% Grenache. Medium purple color, displaying iron and smoked meat along with plum and black cherry. Medium weight on the palate with moderate tannins, showing nicely right now. Terre Rouge 2008 Syrah, Sentinel Oak Vineyard, Pyramid Block, Shenandoah Valley. Aged in 33% new French oak. Medium-dark color, with higher-toned plum and darker fruit, spice, and vanilla/oak on the nose. Big and structured, with a grippy tannic finish. 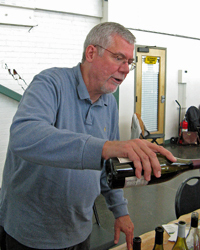 Comments: A longtime leader among Sierra Foothills Rhône-style producers, Bill Easton of Terre Rouge poured his wines at the tasting. He founded his winery in Amador County’s Shenandoah Valley in 1994. The “Enigma” was a standout, and the tasty “Tête-à-Tête” is an exceptional value. Folin 2012 Petite Sirah Blanc, Folin Vineyard, Rogue Valley, Oregon. Pressed through Viognier lees, finishing with a little residual sugar. Light color, with ripe stone fruit and herb notes on the nose. Medium-light weight with a fairly smooth texture, the finish is slightly sweet. Folin 2010 “Misceo,” Folin Vineyard, Rogue Valley, Oregon. 40% Syrah, 40% Mourvèdre, 20% Grenache. Medium garnet-purple, this had plum and earth aromas plus a big spice component. Medium weight on the palate, this finished with moderate tannins. Folin 2011 Grenache, Folin Vineyard, Rogue Valley, Oregon. 100% Grenache. Medium-light garnet color, with bright red fruit, herbs, and touches of pepper and earth. Medium-bodied with a lively mouthfeel and moderate tannins on the finish, nice. Folin 2011 Mourvèdre, Folin Vineyard, Rogue Valley, Oregon. 100% Mourvèdre. Slightly darker color, this featured herbs, plum and black cherry fruit, and earth. More structured on the palate, with a firm tannic finish. Folin 2010 Petite Sirah, Folin Vineyard, Rogue Valley, Oregon. Dark color, showing ripe dark fruit, dried herbs, and spice on the nose. Big and bold, with very chewy, chunky tannins on the finish – definitely needs time. Comments: As usual, Rob Folin was on hand to pour his wines, including the only Petite Sirah Blanc I’ve ever tasted! The 25-acre estate vineyard is planted mostly to Rhône grape varieties. Folin continues to be one of the few American producers using Vino-Lok glass closures for their wines. Hearst Ranch 2011 “Three Sisters Cuvée,” Paso Robles. 80% Grenache Blanc, 20% Viognier, made in 50% stainless steel and 50% neutral oak. Light color, this displayed ripe stone fruit and tropical fruit with a touch of fresh herbs. Medium-light bodied with a mildly creamy texture and smooth finish. Hearst Ranch 2011 “Three Sisters Cuvée,” Paso Robles. 50% Grenache, 35% Syrah, 15% Mourvèdre, aged in 25% new French oak and 15% new American oak. Medium color, with upfront vanilla/oak aromas along with black cherry and lots of spice. Medium weight on the palate with moderate tannins. Comments: Founded by Steve Hearst (great-grandson of William Randolph Hearst) and Jim Saunders, the first Hearst Ranch wines were released in 2010. Jim is a longtime grower on the Eastside of Paso Robles, and the wines are made from both estate and purchased fruit. Holly’s Hill 2013 Viognier, Estate, El Dorado. Light straw color, showing tropical fruit and peach. Medium-bodied with a creamy mouthfeel and a long, smooth finish. Holly’s Hill 2012 “Patriarche Blanc,” El Dorado. 40% Roussanne, 27% Picpoul, 23% Grenache Blanc. Light color, featuring stone fruit and pear aromas plus hints of flowers, spice, and sweet oak. Medium weight on the palate, this had a lively texture and finish. Holly’s Hill 2012 Roussanne, Estate, El Dorado. Slightly darker straw color, with pear, orangepeel, and spice on the nose. Moderately rich, with a pleasant finish. Holly’s Hill 2011 “Patriarche,” El Dorado. 52% Mourvèdre, 36% Syrah, 7% Grenache, 5% Counoise. Medium color, this had aromas of iron and earth, flowers, black pepper, and dark fruits. Medium-bodied with a lively mouthfeel and firm but refined tannins, nice. Holly’s Hill 2011 “Mourvèdre Classique,” El Dorado. 100% Mourvèdre, sourced from several vineyards including the estate vineyard. Medium purple, this had a riper fruit profile than the previous wine, with plum and black cherry fruit, earth, and vanilla/oak notes. Medium weight with moderate tannins. Holly’s Hill 2010 Syrah, “Wylie-Fenaughty,” El Dorado. Medium-dark purple, this was gamey and savory, along with blackberry, pepper, and smoke aromas. Medium-full bodied and well-structured for aging, with firm tannins and a stony mineral note on the finish, nice. Comments: One of the Sierra Foothills most consistent producers of Rhône-style wines, Holly’s Hill gets much of its fruit from its two estate vineyards, first planted in 1998 at an elevation of about 2,600 feet. Tom & Holly Cooper own the winery and their daughter Carrie is the winemaker, while Carrie’s husband Josh Bendick shares in the winemaking duties as well as sales and marketing. Kukkula 2012 “Noir,” Estate, Paso Robles. About 86% Syrah, 14% Counoise. Dark color, this had plenty of forward ripe plum aromas plus a strong vanilla/oak component with hints of flowers and spice. Fairly rich mouthfeel, this finished with chewy tannins and could use some time in the cellar. Comments: The Kukkula wines are all blends made from estate fruit, organically dry-farmed on a steep site on the Westside of Paso Robles. Chester’s Anvil 2012 “Gretna Green,” Napa Valley. 99% Roussanne, 1% Viognier. Very light color, featuring pear and stone fruit, plus hints of flowers and spice. Medium weight on the palate with a lively finish. Lagier Meredith 2013 Rosé of Syrah, Mount Veeder. Whole-cluster pressed, no malolactic fermentation, aged in neutral oak and bottled two weeks before the tasting. Very light salmon-pink, this had watermelon, spice, and a touch of orangepeel on the nose. Medium-light bodied with a clean finish, nice. Lagier Meredith 2011 Syrah, Mount Veeder, Napa Valley. Medium-dark purple, with intense dark berry fruit, flowers, pepper, and a grilled meat note. Medium-full bodied, this had fine structure for aging and firm but refined tannins, showing nicely already and should age well. Lagier Meredith 2012 Tribidrag, Mount Veeder, Napa Valley. Tribidrag is an old Croatian name for the grape we know in California as Zinfandel. Medium purple color, with lots of spice and ripe, brambly red fruit. Medium weight on the palate, this had a lively texture and moderate tannins, nice. Comments: As usual, Steve Lagier and Carole Meredith were behind their winery table at the tasting (with help from Alan Rath). The Chester’s Anvil label is a collaboration with Steve & Carole’s neighbors Aaron & Claire Pott of Pott Wine. The first Syrah plantings at the Lagier Meredith estate vineyard high on Mount Veeder came in 1994. The 2011 Syrah was a standout, and the soon-to-be-released Rosé and Tribidrag were also noteworthy. Martian 2012 Grenache Blanc, “Mothership,” Santa Barbara County. Made in stainless steel and neutral oak. Very light color, this showed apple, herb, and lemonpeel notes on the nose. Lighter-bodied with a vibrant mouthfeel and zingy acidity on the finish, nice. Martian 2012 Viognier, “Stellar,” Santa Barbara County. Made in stainless steel and foudre. Light straw color, with citrus and bit of tropical fruit aromas along with mildly floral notes. More weight in the mouth than the previous wine, but retaining crisp acidity. Martian Ranch 2011 Grenache Noir, “Local Group,” Santa Barbara County. 84% Grenache, 9% Mourvèdre, 4% Syrah, 2% Grenache Blanc, 10% whole-cluster fermentation. Medium color, displaying riper red fruit, lots of spice, and undertones of oak. Medium-bodied, this finished with firm tannins. Martian Ranch 2011 Syrah, “Red Shift,” Santa Barbara County. 95.4% Syrah, 4.6% Viognier, entirely destemmed. Dark purple, with savory aromas of grilled meat, herbs, spice, and blackberry fruit. Medium-full bodied with plenty of structure, finishing with grippier tannins – very intriguing now but should improve with time in the cellar. Comments: The Martian name is a combination of the names of owner Nan Helgeland’s sons Martin and Ian. Nan poured her wines at the event. The 2011 wines are the first releases from the biodynamically-farmed estate vineyard near Los Alamos. Graham Tatomer took over as winemaker from Michael Roth late last year. McCay 2011 Grenache, Lodi. 100% Grenache, aged in neutral oak. Fairly light garnet color, this had herbal, minty aromas upfront, plus red fruits and a touch of spice. Fairly smooth mouthfeel with moderate tannins. Comments: Proprietor Michael McCay was on hand at the event. A longtime Lodi winegrape grower, Michael’s first commercial release from the winery came in 2007. 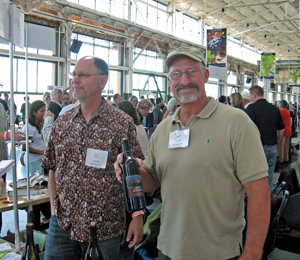 Better-known for Zinfandel, the 2011 is the first Grenache from McCay. MacLaren 2010 Syrah, Judge Family Vineyard, Bennett Valley. Aged for 12 months in 20% new French oak. Medium-dark purple-garnet, featuring savory grilled meat aromas, plum and darker fruits, herbs, and undertones of flowers and black pepper. Medium-bodied with juicy acidity and a stony mineral quality on the long finish, very nice. MacLaren 2010 Syrah, Samantha’s Vineyard, Russian River Valley. Aged for 14 months in 20% new French oak. Medium-dark color, this had savory, herbal notes along with plums and more spice than the Judge bottling. Richer mouthfeel but with bright acidity and a grippy tannic finish. Comments: MacLaren was founded in 2007 by Steve and Heather Law, and focuses on cool-climate Syrah. The Syrahs use little or no whole-cluster in their fermentations and are aged in mostly older oak. Steve poured his wines at the event, and he noted that he looks to the Northern Rhône for his inspiration. The MacLaren wines I’ve tasted have been outstanding examples of cool-climate California Syrah. Miner 2012 Grenache, Hudson Vineyard, Carneros. 100% Grenache. Medium-light garnet color, displaying bright and pure strawberry and red cherry fruit, touches of flowers and fresh herbs, and a stony mineral component. Medium-bodied with a vibrant mouthfeel and moderate tannins on the juicy finish, nice. Comments: Dave and Emily Miner established their winery in 1996, in the Oakville portion of Napa Valley. Winemaker Gary Brookman joined them the following year after working at Franciscan and Joseph Phelps, and he continues to head up the Miner winemaking team. Enologist Maura Christoffers presented the Grenache at the morning seminar. Famed Hudson Vineyard in cool-climate Carneros is a marginal site for Grenache – the 2012 is Miner’s first from the vineyard. Mounts 2011 Grenache, Estate, Dry Creek Valley. From 362 clone Grenache, with a little Syrah blended in, about 30% whole-cluster fermented. Medium-light garnet color, this had higher-toned strawberry and red cherry fruit, lots of spice, dried herbs, and a somewhat resiny oak character. Medium-bodied with moderately grippy tannins on the long finish. Comments: David Mounts was on hand at the event, and he said that the Grenache vines were planted in 2005. The Mounts family has been growing winegrapes in Dry Creek Valley for over 50 years. Pipestone 2008, “Rhone Style Red,” Estate, Paso Robles. 40% Syrah, 30% Grenache, 30% Mourvèdre. Medium color, featuring lots of spice along with plum and herb aromas and a touch of sweet oak. Medium weight on the palate with moderate tannins. Pipestone 2010 Syrah, Estate, Paso Robles. 100% Syrah. Medium-dark purple, this showed a bigger vanilla/oak component, along with dark berry fruit, mocha, and spice. Richer texture than the previous wine, finishing with grippier tannins. Comments: Pipestone is the label of husband-and-wife team Jeff Pipes and Florence Wong. The vineyard was planted according to the Chinese principles of feng shui and is farmed organically. Quady North 2012 Grenache, “Bomba,” Rogue Valley, Southern Oregon. 95% Grenache, 5% Syrah, aged in neutral oak. Medium purple color, with ripe plum and black cherry fruit, earth, and a touch of menthol. Medium weight on the palate with a fairly smooth texture, finishing with chewy tannins. Comments: Proprietor Herb Quady is the son of well-known dessert wine specialist Andrew Quady. 17 acres of organically-farmed Syrah, Cabernet Franc and Viognier were planted at their estate Mae's Vineyard in 2006-2007. Quivira 2013 Rosé, Wine Creek Ranch, Dry Creek Valley. Made from 70% Grenache, 15% Syrah, 15% Mourvédre, specially picked and crushed/pressed for Rosé and made in stainless steel. Very light salmon/pink color, this was bright and fruit-forward, with fresh strawberry, herb, and lightly floral aromas. Lighter-bodied, with a crisp, refreshing finish, nice. Quivira 2011 “Elusive,” Wine Creek Ranch, Dry Creek Valley. 40% Syrah, 35% Grenache, 25% Mourvèdre, aged in foudre and neutral barrels. Medium-light color, displaying black cherry and plum fruit, earth, herbs, and a touch of black pepper. Medium-bodied and lively on the palate, finishing with moderate tannins. Quivira 2012 Grenache, Wine Creek Ranch, Dry Creek Valley. 100% Grenache. Medium-light garnet, with a big spice component along with bright red fruits, earth, and pepper. Medium weight in the mouth with a grippy tannic finish. Quivira 2011 Mourvèdre, Wine Creek Ranch, Dry Creek Valley. 90% Mourvèdre, 10% Grenache. Medium purple, this featured earth and iron aromas, plus herbs, darker berry fruit, and a light touch of oak. Medium-bodied, with lively acidity and moderate tannins. Comments: Quivira has quickly become one of the best producers of Rhône-style wines from Dry Creek Valley since winemaker Hugh Chappelle arrived in 2010. The estate vineyard, Wine Creek Ranch, is farmed biodynamically and Demeter-certified. Qupé 2010 Roussanne, “Hillside Estate,” Bien Nacido Vineyard, Santa Maria Valley. Light yellow-straw color, with pear, spice, vanilla/oak, and a touch of honey on the nose. Lively texture with a fairly rich mouthfeel – this is very young and really demands time in the cellar to show its best. Qupé 2011 Grenache, Sawyer Lindquist Vineyard, Edna Valley. 87% Grenache (Alban and Tablas clones), 13% Syrah, about 15% whole-cluster fermentation, aged in neutral oak. Medium-light color, this had bright, floral aromas along with exotic spices, red fruits, black pepper, herbs, and a stony mineral component. Medium weight with a juicy mouthfeel and moderate tannins, nice. Qupé 2011 Syrah, Sawyer Lindquist Vineyard, Edna Valley. Some whole-cluster fermentation, aged in about 33% new French oak. Medium purple color, displaying smoky and meaty notes upfront, along with dark berry fruit, black pepper, spice, and a background of sweet oak. Medium-bodied and lively on the palate, with moderate tannins, showing very nicely for such a young Syrah. Qupé 2010 “Sonnie’s” Syrah, Sawyer Lindquist Vineyard, Edna Valley. The “Sonnie’s” bottling is from both a vineyard and barrel selection, and features more whole-cluster fermentation and more new Ermitage barrels. Medium-dark purple, with a blast of black pepper on the nose, along with blackberry, herbs, and undertones of flowers and oak. A bit bigger and more structured than the previous wine, this finished with firm but refined tannins, nice. No Limit 2010 Syrah, “The Nuts,” Sawyer Lindquist Vineyard, Edna Valley. Made by Ethan Lindquist, this is a barrel selection of Alban clone Syrah. Medium-dark color, this showed riper black fruits plus spice, pepper, and a bigger oak component on the nose. Rich and structured in the mouth, with a grippy tannic finish. Qupé 2009 Syrah, “Hillside Estate,” Bien Nacido Vineyard, Santa Maria Valley. From vines planted in 1992. Medium-dark color, featuring gamey and herbal aromas upfront, with grilled meat, dark fruits, and pepper in support. Fairly bold mouthfeel with somewhat chewy tannins – lots of potential but needs more time. Qupé 2011 Syrah, “X Block, 30th Anniversary,” Bien Nacido Vineyard, Santa Maria Valley. From vines planted in 1973 and grafted later to Syrah, farmed biodynamically since 2005. Medium-dark purple, with a more prominent vanilla/oak component along with blackberry, pepper, dried herbs, lots of spice, and a slight floral note. Big and structured on the palate, with grippy tannins – another promising but very young wine that needs much more bottle age. Comments: As usual, Bob and Ethan Lindquist poured an excellent group of wines, and I thought they were the best I tasted at this event. 40-acre Sawyer Lindquist Vineyard, in cool Edna Valley, has been biodynamically-farmed since the first plantings in 2005, and it’s been Demeter-certified since 2009. Although the Qupé wines showed very well at the tasting, they’re all ageworthy and should reward further time in the cellar. Ranchero 2013 “Chrome,” La Vista Vineyard, Paso Robles. 100% Grenache Blanc, 100% malolactic fermentation. Very light straw color, with bright green apple aromas along with fresh herbs and slightly floral undertones. Medium-light bodied with a lively mouthfeel and crisp, clean finish, nice. Ranchero 2012 Viognier, La Vista Vineyard, Paso Robles. 100% Viognier, made mostly in concrete, with some fruit on the skins for 48 hours. Light straw color, featuring pear and peach fruit plus flowers and spice in the background. Medium weight on the palate, with a long, smooth finish. Ranchero 2010 Carignan, Colombini Vineyard, Mendocino County. From 90-year old head-trained vines in Redwood Valley, made with 100% whole clusters. Vibrant medium purple color, featuring earthy and gamy aromas upfront, with red fruits and floral undertones. Medium-bodied with fine acidity and a chewy tannic finish – very tasty now but could use more bottle age to mellow the tannins. Ranchero 2012 Carignan, Paso Robles (barrel sample). 100% whole-cluster fermentation, this will probably be blended with the Colombini Vineyard Carignane. Medium color, with herbal and slightly stemmy notes along with earth and plum on the nose. Fairly big and structured in the mouth, it will be interesting to see how the final blend of this wine develops. Ranchero 2011 “Revolver,” Paso Robles / Mendocino. 50% Syrah from Alta Colina Vineyard in Paso Robles and 50% Columbini Vineyard Carignan, co-fermented. Medium-dark purple color, this showed bright and spicy black cherry and plum aromas, with plenty of spice and notes of dried herbs. Big and moderately rich mouthfeel, this finished with firm tannins. Comments: Amy Butler was on hand to pour her Ranchero wines at the event, and she presented a strong line-up. A relatively new label and better-known for their whites, these wines showed that Amy is doing a fine job with reds as well. She said that the “Chrome” has sometimes had some Viognier blended in, but was 100% Grenache Blanc in 2013. Ridge 2011 Carignane, “Old Vines,” Triangle Block, Geyserville Vineyard, Sonoma County. From 110-year old vines, aged in mostly older American oak. Medium purple color, with bright raspberry and black cherry, earth, a touch of sweet oak, and lots of spice on the nose. Medium-bodied with a lively mouthfeel and refined tannins, nice. Ridge 2009 Syrah, Lytton Estate, Dry Creek Valley. 90% Syrah with 10% co-fermented Viognier, aged in both newer and older American oak. Dark color, displaying blackberry, vanilla/oak, and spice, with a touch of black pepper. Big and bold on the palate, with the structure for aging and a grippy tannic finish. Ridge 2012 Petite Sirah, Lytton Estate, Dry Creek Valley. Dark color, this showed more primary blue and black fruits upfront, along with earth, herbs, and sweet oak. Full-bodied and rich, with chewy tannins on the finish. Comments: Ridge is one of California’s most renowned wineries, founded in 1959. Paul Draper joined Ridge in 1969 and continues to head their winemaking team. They’ve made wines from Dry Creek Valley since the mid-1960s, and purchased their Lytton Springs property there in 1991. John Olney has been in charge of winemaking at Lytton Springs since 1999. I had recently tasted a couple of the other Ridge wines being poured so I skipped them on this occasion. Skinner 2012 Picpoul Blanc, El Dorado. Very light color, this displayed bright pear fruit and touches of spice and lemonpeel on the nose. Lighter-bodied with a vibrant mouthfeel, this had a clean, zingy finish, nice. Skinner 2012 Grenache Blanc, El Dorado. Made in stainless steel and neutral oak. Light yellow-straw color, with a riper stone fruit and tropical fruit profile, along with a slightly floral note. Moderately rich mouthfeel but with lively acidity and a fresh finish. Skinner 2012 Grenache, El Dorado. 100% Grenache, sourced from about five vineyards with average elevation of about 2,800 feet. Medium-light color, showing ripe strawberry plus lots of spice and hints of dried herbs and sweet oak. Medium-bodied with moderate tannins on the finish. Skinner 2012 Mourvèdre, El Dorado. Medium purple color, this had earthy aromas along with ripe black fruits, a touch of pepper, and dried herbs. Bigger and more structured than the Grenache, with a grippier finish. Comments: A fairly new winery in the Fair Play area of El Dorado County, Skinner has quickly become one of the area’s most consistent Rhône-style wine producers. They farm two estate vineyards and source most of their fruit from them. 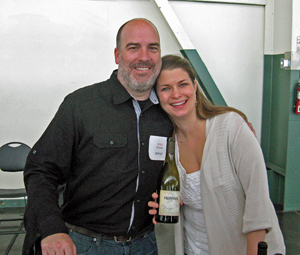 Winemaker Chris Pittenger and his wife Sarah were behind the winery table at the event, and they poured some fine wines. Skylark 2013 “Pink Belly,” Mendocino County. Made from Grenache grapes farmed for Rosé and whole-cluster pressed into stainless steel. Light salmon-pink color, with fresh herbs and red fruits on the nose. Fairly light on the palate with a fresh and slightly chalky finish, nice. Skylark 2012 Pinot Blanc, Orsi Vineyard, Mendocino County. From vines planted in 1975, whole-cluster pressed into stainless steel, with no malolactic fermentation. Light straw color, showing pear and spice notes. Medium-bodied and smooth, with a lively finish. Skylark 2009 Syrah, Lawer Vineyard, Knights Valley. Fermented with 27% whole clusters and aged in 25% new oak. Medium-dark color, this had lots of upfront spice, plus plum and darker fruits and vanilla/oak. Medium-full bodied, finishing with moderately grippy tannins. Skylark 2009 Syrah, Rodgers Creek Vineyard, Sonoma Coast. About 33% whole-cluster fermentation and 30% new French oak. Slightly darker color, displaying herbs, black pepper, dark berry fruit, and a touch of smoked meat. Big and structured, with firm tannins on the finish – showing nicely now but should reward further time in the cellar. Comments: Skylark was founded in 2002 by John Lancaster and Robert Perkins of Boulevard Restaurant in San Francisco. Robert poured at this tasting, and he presented a strong group of wines, including the Pinot Blanc. I’ve been a fan of their Rodgers Creek Syrah, and the 2009 was another standout. Stark 2012 Viognier, Damiano Vineyard, Sierra Foothills. Medium-light straw color, with bright citrus aromas along with touches of flowers and spice. Medium-bodied with a lively texture and a stony mineral note on the finish, nice. Comments: Winemaker Christian Stark and his wife Jen have run their Sonoma County winery since 2002. Damiano Vineyard was planted in 1997 on granitic soil near Auburn, farther north than most Sierra Foothills vineyard sources. Christian started on his career path as a chef, and seeks to make wine to go with food. I had tasted a number of Stark wines recently so I tried just this new release on this occasion. Tablas Creek 2012 “Patelin de Tablas Blanc,” Estate, Paso Robles. 52% Grenache Blanc, 27% Viognier, 16% Roussanne, 5% Marsanne, fermented in stainless steel. Light straw color, with ripe apple and pear on the nose, a touch of flowers, and lots of spice. Medium-light bodied with a lively mouthfeel and smooth finish. Tablas Creek 2012 “Côtes de Tablas Blanc,” Estate, Paso Robles. 34% Viognier, 30% Marsanne, 30% Grenache Blanc, 6% Roussanne, fermented in stainless steel. Light straw color, showing peach and subtle floral aromas, plus hints of lemonpeel and herbs. Fuller on the palate than the previous wine, with a smooth texture. Tablas Creek 2012 Grenache Blanc, Estate, Paso Robles. 100% Grenache Blanc, fermented in stainless steel and one two-year old foudre. Light straw color, this featured bright pear and green apple notes along with a touch of spice. Vibrant mouthfeel with a clean, juicy finish, nice. Tablas Creek 2012 Roussanne, Estate, Paso Robles. 100% Roussanne, fermented in neutral 1200-gallon French oak foudres and 170-gallon French oak demi-muids. Medium-light straw color, with stone fruit, spice, and fresh herbs on the nose, with undertones of oak. Fairly rich texture, with a bit of harshness on the finish – this is a wine that demands time in the cellar. Tablas Creek 2011 “Esprit de Tablas Blanc,” Estate, Paso Robles. 64% Roussanne, 26% Grenache Blanc, 10% Picpoul Blanc, made in both stainless steel and oak. Medium-light straw color, with ripe pear and stone fruit, herbs, and a creamy note on the nose. Rich and smooth on the palate, with a lively finish. Tablas Creek 2012 “Côtes de Tablas,” Estate, Paso Robles. 60% Grenache, 25% Syrah, 10% Counoise, 5% Mourvèdre, aged in 1,200-gallon French oak foudres. Medium-light garnet color, featuring red fruits, spice, and a touch of black pepper. Juicy mouthfeel with zingy acidity and fine, chalky tannins on the finish, nice. Tablas Creek 2011, Mourvèdre, Estate, Paso Robles. 100% Mourvèdre, aged in 1,200-gallon foudres. Medium color, showing iron, rare meat, earth, and herb aromas upfront, with plum and spice in support. Medium-bodied, finishing with moderate tannins, nice. Tablas Creek 2011 “En Gobelet,” Paso Robles. 29% Mourvèdre, 27% Grenache, 26% Tannat, 18% Syrah, aged in foudres and puncheons. Medium purple color, this was earthy and savory, with plum and darker berry fruit and a touch of oak in the background. Bigger texture on the palate with a firm tannic finish. 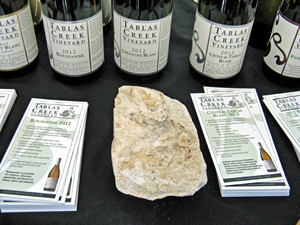 Tablas Creek 2011 “Esprit de Tablas,” Paso Robles. 40% Mourvédre, 30% Grenache, 20% Syrah, 10% Counoise, aged in 1200-gallon French oak foudres. Medium color, with brighter plum, currant, and dried herb on the nose, along with earth and spice notes. Rich but lively mouthfeel, with a grippy tannic finish. Comments: Tablas Creek is co-owned by the Perrin family (of Château de Beaucastel fame) and Robert Haas (founder of Vineyard Brands importers). Their 120-acre estate vineyard on the Westside of Paso Robles was first planted in the early 1990s. The vineyard was certified organic in 2003 and has been farmed using more biodynamic techniques in recent years. Jason Haas was behind the winery table, and poured an impressive group of wines, both white and red. Two Shepherds 2013 Grenache Gris Rosé, Gibson Ranch, Mendocino County. Made from 105-year old dry-farmed and head-trained vines, the fruit was crushed and left on the skins for seven days before pressing, 100% malolactic fermentation. Light salmon/pink color, displaying grapefruit, cranberry, and fresh herbs on the nose. Medium-light weight on the palate with a lively texture and a slight tannic bite on the clean finish, nice. Comments: Two Shepherds is a Rhône specialist, producing both varietal wines and blends sourced from a number of California wine regions. The first commercial vintage was 2010. Owner/winemaker William Allen is well-known for his Simple Hedonisms wine blog. I had tasted a number of Two Shepherds wines recently so I tried just this one on this occasion.